For other uses, see University (disambiguation). A university (Latin: universitas, 'a whole') is an institution of higher (or tertiary) education and research which awards academic degrees in various academic disciplines. Universities typically provide undergraduate education and postgraduate education. The word university is derived from the Latin universitas magistrorum et scholarium, which roughly means "community of teachers and scholars". While antecedents had existed in Asia and Africa, the modern university system has roots in the European medieval university, which was created in Italy and evolved from cathedral schools for the clergy during the High Middle Ages. The original Latin word universitas refers in general to "a number of persons associated into one body, a society, company, community, guild, corporation, etc". At the time of the emergence of urban town life and medieval guilds, specialized "associations of students and teachers with collective legal rights usually guaranteed by charters issued by princes, prelates, or the towns in which they were located" came to be denominated by this general term. Like other guilds, they were self-regulating and determined the qualifications of their members. In modern usage the word has come to mean "An institution of higher education offering tuition in mainly non-vocational subjects and typically having the power to confer degrees," with the earlier emphasis on its corporate organization considered as applying historically to Medieval universities. The original Latin word referred to degree-awarding institutions of learning in Western and Central Europe, where this form of legal organisation was prevalent and from where the institution spread around the world. An important idea in the definition of a university is the notion of academic freedom. The first documentary evidence of this comes from early in the life of the University of Bologna, which adopted an academic charter, the Constitutio Habita, in 1158 or 1155, which guaranteed the right of a traveling scholar to unhindered passage in the interests of education. Today this is claimed as the origin of "academic freedom". This is now widely recognised internationally - on 18 September 1988, 430 university rectors signed the Magna Charta Universitatum, marking the 900th anniversary of Bologna's foundation. The number of universities signing the Magna Charta Universitatum continues to grow, drawing from all parts of the world. According to Encyclopædia Britannica, the earliest universities were founded in Asia and Africa, predating the first European medieval universities. The University of Al Quaraouiyine, founded in Morocco by Fatima al-Fihri in 859, is considered by some to be the oldest degree-granting university. Their endowment by a prince or monarch and their role in training government officials made early Mediterranean universities similar to Islamic madrasas, although madrasas were generally smaller, and individual teachers, rather than the madrasa itself, granted the license or degree. Scholars like Arnold H. Green and Hossein Nasr have argued that starting in the 10th century, some medieval Islamic madrasas became universities. However, scholars like George Makdisi, Toby Huff and Norman Daniel argue that the European university has no parallel in the medieval Islamic world. Several other scholars consider the university as uniquely European in origin and characteristics. Darleen Pryds questions this view, pointing out that madaris and European universities in the Mediterranean region shared similar foundations by princely patrons and were intended to provide loyal administrators to further the rulers' agenda. Some scholars, including Makdisi, have argued that early medieval universities were influenced by the madrasas in Al-Andalus, the Emirate of Sicily, and the Middle East during the Crusades. Norman Daniel, however, views this argument as overstated. Roy Lowe and Yoshihito Yasuhara have recently drawn on the well-documented influences of scholarship from the Islamic world on the universities of Western Europe to call for a reconsideration of the development of higher education, turning away from a concern with local institutional structures to a broader consideration within a global context. The university is generally regarded as a formal institution that has its origin in the Medieval Christian tradition. European higher education took place for hundreds of years in cathedral schools or monastic schools (scholae monasticae), in which monks and nuns taught classes; evidence of these immediate forerunners of the later university at many places dates back to the 6th century. The earliest universities were developed under the aegis of the Latin Church by papal bull as studia generalia and perhaps from cathedral schools. It is possible, however, that the development of cathedral schools into universities was quite rare, with the University of Paris being an exception. Later they were also founded by Kings (University of Naples Federico II, Charles University in Prague, Jagiellonian University in Kraków) or municipal administrations (University of Cologne, University of Erfurt). In the early medieval period, most new universities were founded from pre-existing schools, usually when these schools were deemed to have become primarily sites of higher education. Many historians state that universities and cathedral schools were a continuation of the interest in learning promoted by The residence of a religious community. Pope Gregory VII was critical in promoting and regulating the concept of modern university as his 1079 Papal Decree ordered the regulated establishment of cathedral schools that transformed themselves into the first European universities. The first universities in Europe with a form of corporate/guild structure were the University of Bologna (1088), the University of Paris (c.1150, later associated with the Sorbonne), and the University of Oxford (1167). The University of Bologna began as a law school teaching the ius gentium or Roman law of peoples which was in demand across Europe for those defending the right of incipient nations against empire and church. Bologna's special claim to Alma Mater Studiorum[clarification needed] is based on its autonomy, its awarding of degrees, and other structural arrangements, making it the oldest continuously operating institution independent of kings, emperors or any kind of direct religious authority. The conventional date of 1088, or 1087 according to some, records when Irnerius commences teaching Emperor Justinian's 6th century codification of Roman law, the Corpus Iuris Civilis, recently discovered at Pisa. Lay students arrived in the city from many lands entering into a contract to gain this knowledge, organising themselves into 'Nationes', divided between that of the Cismontanes and that of the Ultramontanes. The students "had all the power … and dominated the masters". In Europe, young men proceeded to university when they had completed their study of the trivium–the preparatory arts of grammar, rhetoric and dialectic or logic–and the quadrivium: arithmetic, geometry, music, and astronomy. All over Europe rulers and city governments began to create universities to satisfy a European thirst for knowledge, and the belief that society would benefit from the scholarly expertise generated from these institutions. Princes and leaders of city governments perceived the potential benefits of having a scholarly expertise develop with the ability to address difficult problems and achieve desired ends. The emergence of humanism was essential to this understanding of the possible utility of universities as well as the revival of interest in knowledge gained from ancient Greek texts. The rediscovery of Aristotle's works–more than 3000 pages of it would eventually be translated–fuelled a spirit of inquiry into natural processes that had already begun to emerge in the 12th century. Some scholars believe that these works represented one of the most important document discoveries in Western intellectual history. Richard Dales, for instance, calls the discovery of Aristotle's works "a turning point in the history of Western thought." After Aristotle re-emerged, a community of scholars, primarily communicating in Latin, accelerated the process and practice of attempting to reconcile the thoughts of Greek antiquity, and especially ideas related to understanding the natural world, with those of the church. The efforts of this "scholasticism" were focused on applying Aristotelian logic and thoughts about natural processes to biblical passages and attempting to prove the viability of those passages through reason. This became the primary mission of lecturers, and the expectation of students. The university culture developed differently in northern Europe than it did in the south, although the northern (primarily Germany, France and Great Britain) and southern universities (primarily Italy) did have many elements in common. Latin was the language of the university, used for all texts, lectures, disputations and examinations. Professors lectured on the books of Aristotle for logic, natural philosophy, and metaphysics; while Hippocrates, Galen, and Avicenna were used for medicine. Outside of these commonalities, great differences separated north and south, primarily in subject matter. Italian universities focused on law and medicine, while the northern universities focused on the arts and theology. There were distinct differences in the quality of instruction in these areas which were congruent with their focus, so scholars would travel north or south based on their interests and means. There was also a difference in the types of degrees awarded at these universities. 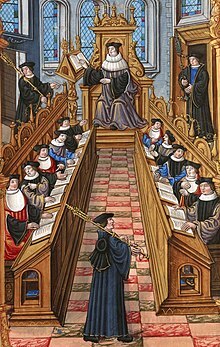 English, French and German universities usually awarded bachelor's degrees, with the exception of degrees in theology, for which the doctorate was more common. Italian universities awarded primarily doctorates. The distinction can be attributed to the intent of the degree holder after graduation – in the north the focus tended to be on acquiring teaching positions, while in the south students often went on to professional positions. The structure of northern universities tended to be modeled after the system of faculty governance developed at the University of Paris. Southern universities tended to be patterned after the student-controlled model begun at the University of Bologna. Among the southern universities, a further distinction has been noted between those of northern Italy, which followed the pattern of Bologna as a "self-regulating, independent corporation of scholars" and those of southern Italy and Iberia, which were "founded by royal and imperial charter to serve the needs of government." During the Early Modern period (approximately late 15th century to 1800), the universities of Europe would see a tremendous amount of growth, productivity and innovative research. At the end of the Middle Ages, about 400 years after the first European university was founded, there were twenty-nine universities spread throughout Europe. In the 15th century, twenty-eight new ones were created, with another eighteen added between 1500 and 1625. This pace continued until by the end of the 18th century there were approximately 143 universities in Europe, with the highest concentrations in the German Empire (34), Italian countries (26), France (25), and Spain (23) – this was close to a 500% increase over the number of universities toward the end of the Middle Ages. This number does not include the numerous universities that disappeared, or institutions that merged with other universities during this time. The identification of a university was not necessarily obvious during the Early Modern period, as the term is applied to a burgeoning number of institutions. In fact, the term "university" was not always used to designate a higher education institution. In Mediterranean countries, the term studium generale was still often used, while "Academy" was common in Northern European countries. The propagation of universities was not necessarily a steady progression, as the 17th century was rife with events that adversely affected university expansion. Many wars, and especially the Thirty Years' War, disrupted the university landscape throughout Europe at different times. War, plague, famine, regicide, and changes in religious power and structure often adversely affected the societies that provided support for universities. Internal strife within the universities themselves, such as student brawling and absentee professors, acted to destabilize these institutions as well. Universities were also reluctant to give up older curricula, and the continued reliance on the works of Aristotle defied contemporary advancements in science and the arts. This era was also affected by the rise of the nation-state. As universities increasingly came under state control, or formed under the auspices of the state, the faculty governance model (begun by the University of Paris) became more and more prominent. Although the older student-controlled universities still existed, they slowly started to move toward this structural organization. Control of universities still tended to be independent, although university leadership was increasingly appointed by the state. Although the structural model provided by the University of Paris, where student members are controlled by faculty "masters", provided a standard for universities, the application of this model took at least three different forms. There were universities that had a system of faculties whose teaching addressed a very specific curriculum; this model tended to train specialists. There was a collegiate or tutorial model based on the system at University of Oxford where teaching and organization was decentralized and knowledge was more of a generalist nature. There were also universities that combined these models, using the collegiate model but having a centralized organization. Early Modern universities initially continued the curriculum and research of the Middle Ages: natural philosophy, logic, medicine, theology, mathematics, astronomy, astrology, law, grammar and rhetoric. Aristotle was prevalent throughout the curriculum, while medicine also depended on Galen and Arabic scholarship. The importance of humanism for changing this state-of-affairs cannot be underestimated. Once humanist professors joined the university faculty, they began to transform the study of grammar and rhetoric through the studia humanitatis. Humanist professors focused on the ability of students to write and speak with distinction, to translate and interpret classical texts, and to live honorable lives. Other scholars within the university were affected by the humanist approaches to learning and their linguistic expertise in relation to ancient texts, as well as the ideology that advocated the ultimate importance of those texts. Professors of medicine such as Niccolò Leoniceno, Thomas Linacre and William Cop were often trained in and taught from a humanist perspective as well as translated important ancient medical texts. The critical mindset imparted by humanism was imperative for changes in universities and scholarship. For instance, Andreas Vesalius was educated in a humanist fashion before producing a translation of Galen, whose ideas he verified through his own dissections. In law, Andreas Alciatus infused the Corpus Juris with a humanist perspective, while Jacques Cujas humanist writings were paramount to his reputation as a jurist. Philipp Melanchthon cited the works of Erasmus as a highly influential guide for connecting theology back to original texts, which was important for the reform at Protestant universities. Galileo Galilei, who taught at the Universities of Pisa and Padua, and Martin Luther, who taught at the University of Wittenberg (as did Melanchthon), also had humanist training. The task of the humanists was to slowly permeate the university; to increase the humanist presence in professorships and chairs, syllabi and textbooks so that published works would demonstrate the humanistic ideal of science and scholarship. Although the initial focus of the humanist scholars in the university was the discovery, exposition and insertion of ancient texts and languages into the university, and the ideas of those texts into society generally, their influence was ultimately quite progressive. The emergence of classical texts brought new ideas and led to a more creative university climate (as the notable list of scholars above attests to). A focus on knowledge coming from self, from the human, has a direct implication for new forms of scholarship and instruction, and was the foundation for what is commonly known as the humanities. This disposition toward knowledge manifested in not simply the translation and propagation of ancient texts, but also their adaptation and expansion. For instance, Vesalius was imperative for advocating the use of Galen, but he also invigorated this text with experimentation, disagreements and further research. The propagation of these texts, especially within the universities, was greatly aided by the emergence of the printing press and the beginning of the use of the vernacular, which allowed for the printing of relatively large texts at reasonable prices. Examining the influence of humanism on scholars in medicine, mathematics, astronomy and physics may suggest that humanism and universities were a strong impetus for the scientific revolution. Although the connection between humanism and the scientific discovery may very well have begun within the confines of the university, the connection has been commonly perceived as having been severed by the changing nature of science during the Scientific Revolution. Historians such as Richard S. Westfall have argued that the overt traditionalism of universities inhibited attempts to re-conceptualize nature and knowledge and caused an indelible tension between universities and scientists. This resistance to changes in science may have been a significant factor in driving many scientists away from the university and toward private benefactors, usually in princely courts, and associations with newly forming scientific societies. Other historians find incongruity in the proposition that the very place where the vast number of the scholars that influenced the scientific revolution received their education should also be the place that inhibits their research and the advancement of science. In fact, more than 80% of the European scientists between 1450–1650 included in the Dictionary of Scientific Biography were university trained, of which approximately 45% held university posts. It was the case that the academic foundations remaining from the Middle Ages were stable, and they did provide for an environment that fostered considerable growth and development. There was considerable reluctance on the part of universities to relinquish the symmetry and comprehensiveness provided by the Aristotelian system, which was effective as a coherent system for understanding and interpreting the world. However, university professors still utilized some autonomy, at least in the sciences, to choose epistemological foundations and methods. For instance, Melanchthon and his disciples at University of Wittenberg were instrumental for integrating Copernican mathematical constructs into astronomical debate and instruction. Another example was the short-lived but fairly rapid adoption of Cartesian epistemology and methodology in European universities, and the debates surrounding that adoption, which led to more mechanistic approaches to scientific problems as well as demonstrated an openness to change. There are many examples which belie the commonly perceived intransigence of universities. Although universities may have been slow to accept new sciences and methodologies as they emerged, when they did accept new ideas it helped to convey legitimacy and respectability, and supported the scientific changes through providing a stable environment for instruction and material resources. Regardless of the way the tension between universities, individual scientists, and the scientific revolution itself is perceived, there was a discernible impact on the way that university education was constructed. Aristotelian epistemology provided a coherent framework not simply for knowledge and knowledge construction, but also for the training of scholars within the higher education setting. The creation of new scientific constructs during the scientific revolution, and the epistemological challenges that were inherent within this creation, initiated the idea of both the autonomy of science and the hierarchy of the disciplines. Instead of entering higher education to become a "general scholar" immersed in becoming proficient in the entire curriculum, there emerged a type of scholar that put science first and viewed it as a vocation in itself. The divergence between those focused on science and those still entrenched in the idea of a general scholar exacerbated the epistemological tensions that were already beginning to emerge. The epistemological tensions between scientists and universities were also heightened by the economic realities of research during this time, as individual scientists, associations and universities were vying for limited resources. There was also competition from the formation of new colleges funded by private benefactors and designed to provide free education to the public, or established by local governments to provide a knowledge hungry populace with an alternative to traditional universities. Even when universities supported new scientific endeavors, and the university provided foundational training and authority for the research and conclusions, they could not compete with the resources available through private benefactors. By the end of the early modern period, the structure and orientation of higher education had changed in ways that are eminently recognizable for the modern context. Aristotle was no longer a force providing the epistemological and methodological focus for universities and a more mechanistic orientation was emerging. The hierarchical place of theological knowledge had for the most part been displaced and the humanities had become a fixture, and a new openness was beginning to take hold in the construction and dissemination of knowledge that were to become imperative for the formation of the modern state. King's College London, established by Royal Charter having been founded by King George IV and Duke of Wellington in 1829, is one of the founding colleges of the University of London. By the 18th century, universities published their own research journals and by the 19th century, the German and the French university models had arisen. The German, or Humboldtian model, was conceived by Wilhelm von Humboldt and based on Friedrich Schleiermacher's liberal ideas pertaining to the importance of freedom, seminars, and laboratories in universities. The French university model involved strict discipline and control over every aspect of the university. Until the 19th century, religion played a significant role in university curriculum; however, the role of religion in research universities decreased in the 19th century, and by the end of the 19th century, the German university model had spread around the world. Universities concentrated on science in the 19th and 20th centuries and became increasingly accessible to the masses. 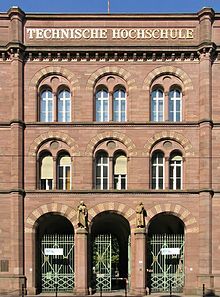 In the United States, the Johns Hopkins University was the first to adopt the (German) research university model; this pioneered the adoption by most other American universities. In Britain, the move from Industrial Revolution to modernity saw the arrival of new civic universities with an emphasis on science and engineering, a movement initiated in 1960 by Sir Keith Murray (chairman of the University Grants Committee) and Sir Samuel Curran, with the formation of the University of Strathclyde. The British also established universities worldwide, and higher education became available to the masses not only in Europe. In 1963, the Robbins Report on universities in the United Kingdom concluded that such institutions should have four main "objectives essential to any properly balanced system: instruction in skills; the promotion of the general powers of the mind so as to produce not mere specialists but rather cultivated men and women; to maintain research in balance with teaching, since teaching should not be separated from the advancement of learning and the search for truth; and to transmit a common culture and common standards of citizenship." In the early 21st century, concerns were raised over the increasing managerialisation and standardisation of universities worldwide. Neo-liberal management models have in this sense been critiqued for creating "corporate universities (where) power is transferred from faculty to managers, economic justifications dominate, and the familiar 'bottom line' ecclipses pedagogical or intellectual concerns". Academics' understanding of time, pedagogical pleasure, vocation, and collegiality have been cited as possible ways of alleviating such problems. A national university is generally a university created or run by a national state but at the same time represents a state autonomic institution which functions as a completely independent body inside of the same state. Some national universities are closely associated with national cultural, religious or political aspirations, for instance the National University of Ireland, which formed partly from the Catholic University of Ireland which was created almost immediately and specifically in answer to the non-denominational universities which had been set up in Ireland in 1850. In the years leading up to the Easter Rising, and in no small part a result of the Gaelic Romantic revivalists, the NUI collected a large amount of information on the Irish language and Irish culture. Reforms in Argentina were the result of the University Revolution of 1918 and its posterior reforms by incorporating values that sought for a more equal and laic[further explanation needed] higher education system. Universities created by bilateral or multilateral treaties between states are intergovernmental. An example is the Academy of European Law, which offers training in European law to lawyers, judges, barristers, solicitors, in-house counsel and academics. EUCLID (Pôle Universitaire Euclide, Euclid University) is chartered as a university and umbrella organisation dedicated to sustainable development in signatory countries, and the United Nations University engages in efforts to resolve the pressing global problems that are of concern to the United Nations, its peoples and member states. The European University Institute, a post-graduate university specialised in the social sciences, is officially an intergovernmental organisation, set up by the member states of the European Union. The University of Sydney is Australia's oldest university. Although each institution is organized differently, nearly all universities have a board of trustees; a president, chancellor, or rector; at least one vice president, vice-chancellor, or vice-rector; and deans of various divisions. Universities are generally divided into a number of academic departments, schools or faculties. Public university systems are ruled over by government-run higher education boards. They review financial requests and budget proposals and then allocate funds for each university in the system. They also approve new programs of instruction and cancel or make changes in existing programs. In addition, they plan for the further coordinated growth and development of the various institutions of higher education in the state or country. However, many public universities in the world have a considerable degree of financial, research and pedagogical autonomy. Private universities are privately funded and generally have broader independence from state policies. However, they may have less independence from business corporations depending on the source of their finances. The funding and organization of universities varies widely between different countries around the world. In some countries universities are predominantly funded by the state, while in others funding may come from donors or from fees which students attending the university must pay. In some countries the vast majority of students attend university in their local town, while in other countries universities attract students from all over the world, and may provide university accommodation for their students. In Australia, the Tertiary Education Quality and Standards Agency (TEQSA) is Australia's independent national regulator of the higher education sector. Students rights within university are also protected by the Education Services for Overseas Students Act (ESOS). In the United States there is no nationally standardized definition for the term university, although the term has traditionally been used to designate research institutions and was once reserved for doctorate-granting research institutions. Some states, such as Massachusetts, will only grant a school "university status" if it grants at least two doctoral degrees. In the United Kingdom, the Privy Council is responsible for approving the use of the word university in the name of an institution, under the terms of the Further and Higher Education Act 1992. In India, a new designation deemed universities has been created for institutions of higher education that are not universities, but work at a very high standard in a specific area of study ("An Institution of Higher Education, other than universities, working at a very high standard in specific area of study, can be declared by the Central Government on the advice of the University Grants Commission as an Institution 'Deemed-to-be-university'"). Institutions that are 'deemed-to-be-university' enjoy the academic status and the privileges of a university. Through this provision many schools that are commercial in nature and have been established just to exploit the demand for higher education have sprung up. In Canada, college generally refers to a two-year, non-degree-granting institution, while university connotes a four-year, degree-granting institution. Universities may be sub-classified (as in the Macleans rankings) into large research universities with many PhD-granting programs and medical schools (for example, McGill University); "comprehensive" universities that have some PhDs but are not geared toward research (such as Waterloo); and smaller, primarily undergraduate universities (such as St. Francis Xavier). In Germany, universities are institutions of higher education which have the power to confer bachelor, master and PhD degrees. They are explicitly recognised as such by law and cannot be founded without government approval. The term Universitaet (i.e. the German term for university) is protected by law and any use without official approval is a criminal offense. Most of them are public institutions, though a few private universities exist. Such universities are always research universities. Apart from these universities, Germany has other institutions of higher education (Hochschule, Fachhochschule). 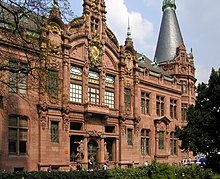 Fachhochschule means a higher education institution which is similar to the former polytechnics in the British education system, the English term used for these German institutions is usually 'university of applied sciences'. They can confer master degrees but no PhDs. They are similar to the model of teaching universities with less research and the research undertaken being highly practical. Hochschule can refer to various kinds of institutions, often specialised in a certain field (e.g. music, fine arts, business). They might or might not have the power to award PhD degrees, depending on the respective government legislation. If they award PhD degrees, their rank is considered equivalent to that of universities proper (Universitaet), if not, their rank is equivalent to universities of applied sciences. Colloquially, the term university may be used to describe a phase in one's life: "When I was at university..." (in the United States and Ireland, college is often used instead: "When I was in college..."). In Ireland, Australia, Canada, New Zealand, the United Kingdom, Nigeria, the Netherlands, Italy, Spain and the German-speaking countries, university is often contracted to uni. In Ghana, New Zealand, Bangladesh and in South Africa it is sometimes called "varsity" (although this has become uncommon in New Zealand in recent years). "Varsity" was also common usage in the UK in the 19th century. "Varsity" is still in common usage in Scotland. 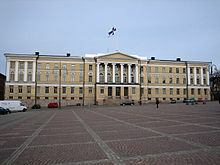 University of Helsinki, the oldest and largest public university in Finland, founded in 1640. In many countries, students are required to pay tuition fees. Many students look to get 'student grants' to cover the cost of university. In 2016, the average outstanding student loan balance per borrower in the United States was US$30,000. In many U.S. states, costs are anticipated to rise for students as a result of decreased state funding given to public universities. There are several major exceptions on tuition fees. In many European countries, it is possible to study without tuition fees. Public universities in Nordic countries were entirely without tuition fees until around 2005. Denmark, Sweden and Finland then moved to put in place tuition fees for foreign students. Citizens of EU and EEA member states and citizens from Switzerland remain exempted from tuition fees, and the amounts of public grants granted to promising foreign students were increased to offset some of the impact. The situation in Germany is similar; public universities usually do not charge tuition fees apart from a small administrative fee. For degrees of a postgraduate professional level sometimes tuition fees are levied. Private universities, however, almost always charge tuition fees. "Universities" . Encyclopædia Britannica (11th ed.). 1911. ^ Haskins, Charles H. (1898). "The Life of Medieval Students as Illustrated by their Letters". The American Historical Review. 3 (2): 203–229. doi:10.2307/1832500. JSTOR 1832500. ^ Marcia L. Colish, Medieval Foundations of the Western Intellectual Tradition, 400-1400, (New Haven: Yale Univ. Pr., 1997), p. 267. ^ "university, n.", OED Online (3rd ed. ), Oxford: Oxford University Press, 2010, retrieved 27 August 2013, …In the Middle Ages: a body of teachers and students engaged in giving and receiving instruction in the higher branches of study … and regarded as a scholastic guild or corporation. Compare "University", Oxford English Dictionary (2nd ed. ), Oxford: Oxford University Press, 1989, The whole body of teachers and scholars engaged, at a particular place, in giving and receiving instruction in the higher branches of learning; such persons associated together as a society or corporate body, with definite organization and acknowledged powers and privileges (esp. that of conferring degrees), and forming an institution for the promotion of education in the higher or more important branches of learning…. ^ Malagola, C. (1888), Statuti delle Università e dei Collegi dello Studio Bolognese. Bologna: Zanichelli. ^ a b Rüegg, W. (2003), Mythologies and Historiography of the Beginnings, pp 4-34 in H. De Ridder-Symoens, editor, A History of the University in Europe; Vol 1, Cambridge University Press. ^ "Magna Charta delle Università Europee". .unibo.it. Archived from the original on 15 November 2010. Retrieved 28 May 2010. ^ "Medina of Fez". UNESCO World Heritage Centre. UNESCO. Archived from the original on 29 May 2010. Retrieved 7 April 2016. ^ Esposito, John (2003). The Oxford Dictionary of Islam. Oxford University Press. p. 328. ISBN 978-0-1951-2559-7. ^ Joseph, S, and Najmabadi, A. Encyclopedia of Women & Islamic Cultures: Economics, education, mobility, and space. Brill, 2003, p. 314. ^ Swartley, Keith. Encountering the World of Islam. Authentic, 2005, p. 74. ^ Arnold H. Green. "The History of Libraries in the Arab World: A Diffusionist Model". Libraries & the Cultural Record. 23 (4): 459. ^ Hossein Nasr. Traditional Islam in the modern world. Taylor & Francis. p. 125. ^ Daniel, Norman (1984). "Review of "The Rise of Colleges. Institutions of Learning in Islam and the West by George Makdisi"". Journal of the American Oriental Society. 104 (3): 586–8. Bibcode:1964JAOS...84..128H. doi:10.2307/601679. JSTOR 601679. The first section, typology of institutions and the law of waqf, is crucial to the main thesis, since the college is defined in terms of the charitable trust, or endowment, as in Europe: it is admitted that the university, defined as a corporation, has no Islamic parallel. ^ Makdisi, George (1970). "Madrasa and University in the Middle Ages". Studia Islamica (32): 255–264 (264). Thus the university, as a form of social organization, was peculiar to medieval Europe. Later, it was exported to all parts of the world, including the Muslim East; and it has remained with us down to the present day. But back in the middle ages, outside of Europe, there was nothing anything quite like it anywhere. ^ Nuria Sanz, Sjur Bergan (1 January 2006). The heritage of European universities, Volume 548. Council of Europe. p. 121. ISBN 9789287161215. Archived from the original on 5 September 2015. ^ Abulafia, David, ed. The New Cambridge Medieval History: C. 1198-c. 1300. Cambridge University Press, 1999, 257. ^ Nuria Sanz, Sjur Bergan (1 January 2006). The heritage of European universities, Volume 548. Council of Europe. p. 28. ISBN 9789287161215. Archived from the original on 5 September 2015. ^ Makdisi, George (April – June 1989). "Scholasticism and Humanism in Classical Islam and the Christian West". Journal of the American Oriental Society. 109 (2): 175–182 [175–77]. Bibcode:1964JAOS...84..128H. doi:10.2307/604423. JSTOR 604423. ; Makdisi, John A. (June 1999). "The Islamic Origins of the Common Law". North Carolina Law Review. 77 (5): 1635–1739. ^ Goddard, Hugh (2000). A History of Christian-Muslim Relations. Edinburgh University Press. p. 99. ISBN 978-0-7486-1009-9. ^ Daniel, Norman (1984). "Review of "The Rise of Colleges. Institutions of Learning in Islam and the West by George Makdisi"". Journal of the American Oriental Society. 104 (3): 586–8. Bibcode:1964JAOS...84..128H. doi:10.2307/601679. JSTOR 601679. Professor Makdisi argues that there is a missing link in the development of Western scholasticism, and that Arab influences explain the "dramatically abrupt" appearance of the "sic et non" method. Many medievalists will think the case overstated, and doubt that there is much to explain. ^ Verger, Jacques (1999). Gentes del saber: en la Europa de finales de la Edad Media (PDF). Editorial Complutense. p. 259. ISBN 9788489784697. ^ Gordon Leff, Paris and Oxford Universities in the Thirteenth and Fourteenth Centuries. An Institutional and Intellectual History, Wiley, 1968. ^ Johnson, P. (2000). The Renaissance : a short history. Modern Library chronicles (Modern Library ed.). New York: Modern Library, p. 9. ^ Thomas Oestreich (1913). "Pope St. Gregory VII". In Herbermann, Charles. Catholic Encyclopedia. New York: Robert Appleton Company. ^ Makdisi, G. (1981), Rise of Colleges: Institutions of Learning in Islam and the West. Edinburgh: Edinburgh University Press. ^ Daun, H. and Arjmand, R. (2005), Islamic Education, pp 377-388 in J. Zajda, editor, International Handbook of Globalisation, Education and Policy Research. Netherlands: Springer. ^ Kerr, Clark (2001). The Uses of the University. Harvard University Press. pp. 16 and 145. ISBN 978-0674005327. ^ Grendler, P. F. (2004). "The universities of the Renaissance and Reformation". Renaissance Quarterly, 57, pp. 2. ^ Rubenstein, R. E. (2003). Aristotle's children: how Christians, Muslims, and Jews rediscovered ancient wisdom and illuminated the dark ages (1st ed.). Orlando, Florida: Harcourt, pp. 16-17. ^ Dales, R. C. (1990). Medieval discussions of the eternity of the world (Vol. 18). Brill Archive, p. 144. ^ Grendler, P. F. (2004). "The universities of the Renaissance and Reformation". Renaissance Quarterly, 57, pp. 2-8. ^ Scott, J. C. (2006). "The mission of the university: Medieval to Postmodern transformations". Journal of Higher Education. 77 (1): 6. ^ Grendler, P. F. (2004). The universities of the Renaissance and Reformation. Renaissance Quarterly, 57, pp. 1-3. ^ Frijhoff, W. (1996). Patterns. In H. D. Ridder-Symoens (Ed. ), Universities in early modern Europe, 1500-1800, A history of the university in Europe. Cambridge [England]: Cambridge University Press, p. 75. ^ Frijhoff, W. (1996). Patterns. In H. D. Ridder-Symoens (Ed. ), Universities in early modern Europe, 1500-1800, A history of the university in Europe. Cambridge [England]: Cambridge University Press, p. 47. ^ Grendler, P. F. (2004). The universities of the Renaissance and Reformation. Renaissance Quarterly, 57, p. 23. ^ Scott, J. C. (2006). "The mission of the university: Medieval to Postmodern transformations". Journal of Higher Education. 77 (1): 10–13. doi:10.1353/jhe.2006.0007. ^ Frijhoff, W. (1996). Patterns. In H. D. Ridder-Symoens (Ed. ), Universities in early modern Europe, 1500-1800, A history of the university in Europe. Cambridge [England]: Cambridge University Press, p. 65. ^ Ruegg, W. (1992). Epilogue: the rise of humanism. In H. D. Ridder-Symoens (Ed. ), Universities in the Middle Ages, A history of the university in Europe. Cambridge [England]: Cambridge University Press. ^ Grendler, P. F. (2002). The universities of the Italian renaissance. Baltimore: Johns Hopkins University Press, p. 223. ^ Grendler, P. F. (2002). The universities of the Italian renaissance. Baltimore: Johns Hopkins University Press, p. 197. ^ Ruegg, W. (1996). Themes. In H. D. Ridder-Symoens (Ed. ), Universities in Early Modern Europe, 1500-1800, A history of the university in Europe. Cambridge [England]: Cambridge University Press, pp. 33-39. ^ Grendler, P. F. (2004). The universities of the Renaissance and Reformation. Renaissance Quarterly, 57, pp. 12-13. ^ Bylebyl, J. J. (2009). Disputation and description in the renaissance pulse controversy. In A. Wear, R. K. French, & I. M. Lonie (Eds. ), The medical renaissance of the sixteenth century (1st ed., pp. 223-245). Cambridge University Press. ^ Füssel, S. (2005). Gutenberg and the Impact of Printing (English ed.). Aldershot, Hampshire: Ashgate Pub., p. 145. ^ Westfall, R. S. (1977). The construction of modern science: mechanisms and mechanics. Cambridge: Cambridge University Press, p. 105. ^ Ornstein, M. (1928). The role of scientific societies in the seventeenth century. Chicago, IL: University of Chicago Press. ^ Gascoigne, J. (1990). A reappraisal of the role of the universities in the Scientific Revolution. In D. C. Lindberg & R. S. Westman (Eds. ), Reappraisals of the Scientific Revolution, pp. 208-209. ^ Westman, R. S. (1975). "The Melanchthon circle:, rheticus, and the Wittenberg interpretation of the Copernicantheory". Isis. 66 (2): 164–193. doi:10.1086/351431. ^ Gascoigne, J. (1990). A reappraisal of the role of the universities in the Scientific Revolution. In D. C. Lindberg & R. S. Westman (Eds. ), Reappraisals of the Scientific Revolution, pp. 210-229. ^ Gascoigne, J. (1990). A reappraisal of the role of the universities in the Scientific Revolution. In D. C. Lindberg & R. S. Westman (Eds. ), Reappraisals of the Scientific Revolution, pp. 245-248. ^ Feingold, M. (1991). Tradition vs novelty: universities and scientific societies in the early modern period. In P. Barker & R. Ariew (Eds. ), Revolution and continuity: essays in the history and philosophy of early modern science, Studies in philosophy and the history of philosophy. Washington, D.C: Catholic University of America Press, pp. 53-54. ^ Feingold, M. (1991). Tradition vs novelty: universities and scientific societies in the early modern period. In P. Barker & R. Ariew (Eds. ), Revolution and continuity: essays in the history and philosophy of early modern science, Studies in philosophy and the history of philosophy. Washington, D.C: Catholic University of America Press, pp. 46-50. ^ See; Baldwin, M (1995). "The snakestone experiments: an early modern medical debate". Isis. 86 (3): 394–418. doi:10.1086/357237. PMID 7591659. ^ Eddy, Matthew Daniel (2008). The Language of Mineralogy: John Walker, Chemistry and the Edinburgh Medical School, 1750-1800. Aldershot: Ashgate. Archived from the original on 3 September 2015. ^ "Oxford Dictionary of National Biography". Oxforddnb.com. Archived from the original on 6 March 2016. Retrieved 28 May 2010. ^ Anderson, Robert (March 2010). "The 'Idea of a University' today". History & Policy. United Kingdom: History & Policy. Archived from the original on 27 November 2010. Retrieved 9 December 2010. ^ Maggie Berg & Barbara Seeber. The Slow Professor: Challenging the Culture of Speed in the Academy, p. x. Toronto: Toronto University Press. 2016. ^ "Basic Classification Technical Details". Carnegie Foundation for the Advancement of Teaching. Archived from the original on 13 June 2007. Retrieved 20 March 2007. ^ "Massachusetts Board of Education: Degree-granting regulations for independent institutions of higher education" (PDF). Retrieved 28 May 2010. ^ "Higher Education". Privy Council Office. Archived from the original on 23 February 2009. Retrieved 6 December 2007. ^ "Deemed University". mhrd.gov.in. MHRD. Archived from the original on 7 December 2015. ^ — Peter Drucker. "'Deemed' status distributed freely during Arjun Singh's tenure - LearnHub News". Learnhub.com. Archived from the original on 7 July 2010. Retrieved 29 July 2010. ^ "Students at Public Universities, Colleges Will Bear the Burden of Reduced Funding for Higher Education". Time. 25 January 2012. Archived from the original on 9 March 2013. Retrieved 14 January 2013. Aronowitz, Stanley (2000). The Knowledge Factory: Dismantling the Corporate University and Creating True Higher Learning. Boston: Beacon Press. ISBN 978-0-8070-3122-3. Barrow, Clyde W. (1990). Universities and the Capitalist State: Corporate Liberalism and the Reconstruction of American Higher Education, 1894-1928. Madison, Wis: University of Wisconsin Press. ISBN 978-0-299-12400-7. Diamond, Sigmund (1992). Compromised Campus: The Collaboration of Universities with the Intelligence Community, 1945-1955. New York, NY: Oxford Univ. Press. ISBN 978-0-19-505382-1. Pedersen, Olaf (1997). The First Universities: Studium Generale and the Origins of University Education in Europe. Cambridge: Cambridge Univ. Press. ISBN 978-0-521-59431-8. Ridder-Symoens, Hilde de, ed. (1992). A History of the University in Europe. Volume 1: Universities in the Middle Ages. Rüegg, Walter (general ed.). Cambridge: Cambridge University Press. ISBN 978-0-521-36105-7. Ridder-Symoens, Hilde de, ed. (1996). A History of the University in Europe. Volume 2: Universities in Early Modern Europe (1500-1800). Rüegg, Walter (general ed.). Cambridge: Cambridge University Press. ISBN 978-0-521-36106-4. Rüegg, Walter, ed. (2004). A History of the University in Europe. Volume 3: Universities in the Nineteenth and Early Twentieth Centuries (1800-1945). Cambridge: Cambridge University Press. ISBN 978-0-521-36107-1. Segre, Michael (2015). Higher Education and the Growth of Knowledge: A Historical Outline of Aims and Tensions. New York: Routledge. ISBN 978-0-415-73566-7. Wikimedia Commons has media related to Universities.